Sometimes in life, unexpected things happen. When they do, you want a team of firefighting specialists with decades of experience under their belts. 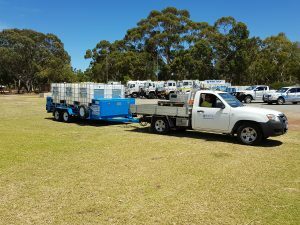 At Water Force WA, we’ve been involved in firefighting support for the past 30 years and have helped our clients avoid devastating consequences such as inadequate water supplies for fighting bushfires and interruptions that affect the drinking water supply during a flood or pipeline breakages. Our employees and subcontractors have gone through intense bush fire training and induction in firefighting, including providing support to fire service appliances, helicopters and air cranes. Each employee holds a White Card, Water Corporation Induction Card and certificates in basic bushfire fighting as required by the Department of Fire and Emergency Services and the Department of Parks and Wildlife. 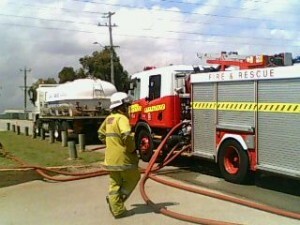 Fire and water incident management services are a 24/7 operation. We’re able to supply scheme water during pipeline breakages, shutdowns and emergency incidents to whole town sites. This is available through our close relationship with the Water Corporations Incident Management Team. Call Water Force WA on 0419 049 561, 9525 3374 or contact us today.